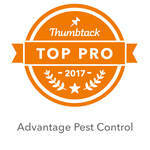 Thank you for visiting the website of Advantage Pest Control. Our pest removal pros get rid of insects and rodents in homes and businesses in the Schenectady, NY area. If your property shows signs of infestation, reach out to Advantage Pest Control. Call 518-772-BUGS any time of the day or night to send an Advantage Pest Control crew member over to clear away the problem.